E-Mantra returns with his third opus on Altar Records! 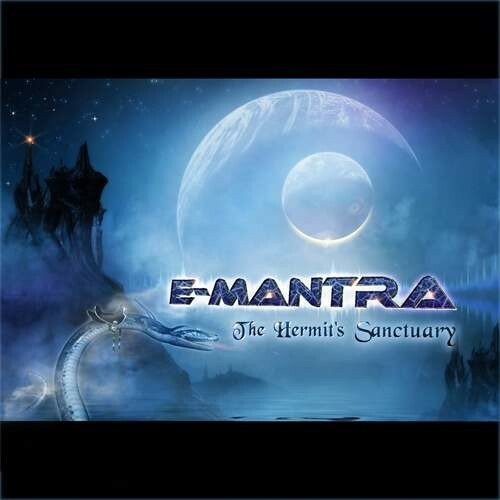 Longtime E-Mantra fans who found his sunshine bright album "Silence" a complete masterpiece couldn't ask for a better follow-up than "The Hermit's Sanctuary". Put on your headphones, turn up your speakers, and drift along on the soft ebb and flow of this beautifully crafted and unique piece of sonic cinema. This newest album represents the next evolution of E-mantra's skilled audio craftsmanship. Downtempo cinematic soundscapes tinged with psychedelia create an even more matured sound that features occasional meditative vocals mixed with haunting melodies and languorous drumming that keeps the energy levels perfect for wakeful meditations. Listeners will quickly feel and understand how Emanuel's musical world is inspired by the fluid tapestry of space and time. You will find "The Hermit's Sanctuary" to be an exceptional experience where the deep cinematic nature of this music inspires movies behind closed eyelids, and when it finishes you will feel as if you’ve returned from somewhere far away... Enjoy!